In recent years Caribbean Community (CARICOM) countries have experienced escalated climate change impacts from hurricanes, tropical storms and other weather-related events thanks to global warming of 1.0 ° Celsius (C) above pre-industrial levels. And it has had adverse effects on particularly vulnerable countries and communities. From expansive evergreen forests to lush tropical forests, the Earth’s forests are disappearing on a massive scale. While deforestation poses a significant problem to the environment and climate, trees also offer a solution. An African delegation is in the Polish city of Katowice to join 30,000 delegates and thousands others from almost 200 countries attending the 4th edition of what has come to be known as annual climate change negotiation conferences organised under the auspices of the United Nations. Although their contribution to global warming is negligible, Caribbean nations are bearing the brunt of its impact. Climate phenomena are so devastating that countries are beginning to prepare not so much to adapt to the new reality, but to get their economies back on their feet periodically. The release of a groundbreaking report has left the international community reeling over very real, intensified impacts of climate change which will hit home sooner rather than later. So what now? 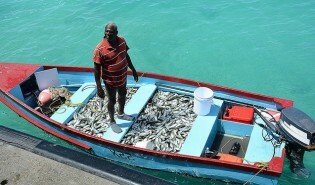 Caribbean scientists say fishermen are already seeing the effects of climate change, so for a dozen or so years they’ve been designing systems and strategies to reduce the impacts on the industry. Caribbean Community (Caricom) states are in the process of formulating an energy efficiency building code for the region that would help reduce CO2 emissions, but implementation of the code may depend heavily on moral suasion for its success. There were surprised gasps when University of the West Indies (UWI) Professor John Agard told journalists at an Intergovernmental Panel on Climate Change (IPCC) meeting in late November 2016 that mosquitoes were not only living longer, but were “breeding in septic tanks underground”. A few dozen metres from the Caribbean beach of Puerto Vargas, where you can barely see the white foam of the waves breaking offshore, is the coral reef that is the central figure of the ocean front of the Cahuita National Park in Costa Rica. On Nov. 30 last year, a new high-performance ‘Super Computer’ was installed at the University of the West Indies (UWI) during climate change week. Dubbed SPARKS - short for the Scientific Platform for Applied Research and Knowledge Sharing - the computer is already churning out the ‘big data’ Caribbean small island states (SIDS) need to accurately forecast and mitigate the effects of climate change on the region. Like many other fast-growing megacities, the Bangladeshi capital of Dhaka faces severe water and sanitation problems, chiefly the annual flooding during monsoon season due to unplanned urbanisation, destruction of wetlands and poor city governance. As the Global South works to overcome a history of weak institutions, armed conflict and poverty-driven forced exodus, key causes of its humanitarian crises, developing countries now have to also fight to keep global warming from compounding their problems. Funding to address the financial flows needed for adaptation and mitigation of climate change remains an issue of concern for the Caribbean. Increasing calls for Africa to reduce methane emissions from livestock continue to be met with controversy, and livestock scientists say methane is a forgotten short-term climate pollutant with significant global warming potential that Africa cannot continue to overlook. Purple garlic that is losing its color? More translucent wine? Climate change will also affect the flavours of our food in the absence of measures to mitigate the impacts of global warming, which are already being felt in crops that are basic to local economies, such as in the Argentine province of Mendoza.